Among world cultures, India’s is a rare one: it has not been afraid of idols and images, masculine and feminine ; benevolent and fierce; natural, tribal, sophisticate commingling in holistic, non-conflicting life-style, flowing like a river all over the vast land. To Europeans who were here three centuries ago, it was a wonder par excellence, because they were not accustomed to such playful phenomenon of great variety, and many of them devoted themselves to their studies in their spare time, and wrote in detail about them. The present work was published exactly 200 years ago. The author was a part of the British government, posted in Pune. He collected hundreds of idols and thousands of pictures, and penned over 2 lakh words in this book. Here is published an abridged version, with select pics, drawn by a royal Academy artist, from over 250, from 250 given in the original. India Book Varsityprovides the best of philosophy, religion, arts and history of the most ancient, essentially thought oriented, secular-democratic, federative and peace-loving community and culture-India-for the new generation now spread all over the world, looking for their roots, identity and seeking authentic knowledge about it. This is I part a revival of already published works of great quality of western scholars over a century ago, thoroughly edited, keeping in view the mindset and requirements of the present-day fast progressing youth, and the globalization of life in all its aspects. Over four dozen volumes have so far been published in this series. The series-Editor, of the well known orient Paperbacks and has been associated with the Bharatiya vidya Bhawan, Mumbai; V.Vedic Research Inst., Hoshiarpur, Pb. Vision Books, Hind pocket Books; Rajpal and sons; Hind Pocket Books; Rajpal ad sons; Indira Gandhi Memorial Trust; HUDCO; DDA (slum Wing); SEWA Delhi, etc, He has planned and edited the useful Public concerns series, and been consultant Editor of International books Update. His books include: Japan-An Engima, An Anthology of Japanese Literature in Hindi, Tagore Centenary volume, the Genius of Tagore, Aspects of Indian culture, world Poetry Number of Hindi Literary Magazine, An Anthology of Hindi short Stories, Existence and Other Poems (English Translations of Amrita Pritam’s Poem), A study of Western Philosophers in Hindi, etc. Once when a few years ago, a friend of mine, Pradeep mandav, to name him as an expression of gratitude, while discussing matters of religion, commented that religion may whatever it is, it is also culture-which struck me with a force that changed my thinking in very fundamental way. Religion and God/ Gods have acquired a different shape everywhere in the world, and also its importance –somewhere more, somewhere less, and in some places not at all-has varied in remarkable ways. There have been non-violent –too killing in some of them, others as also themselves (read Karen Armstrong’s books on Abraham’s three religions )-anti ido lists and idol-worshippers with gust to, simple ideas manipulators and highly philosophical, swinging around a long range of speculations and possibilities. Well the problems galore of life and ‘sufferings’ starting from one’s unexpected entry into the phenomenon called ‘Life’, to great extent made such endeavours necessary to sustain a sense of well-being and usefulness in an otherwise dark and debilitating scenario. This is the beautiful, wonderful, bountiful, cultural aspect of religion, India, with which the present editor is chiefly concerned, if not the other prevalent religions. The British who came to India to conquer, were Christians, who, having always lived under the cross generated gloom and one-book monotony were not though-provoking philosophy of its central scriptures, were simply over’s whelmed and, in addition to carrying out their everyday takes in the service of the East India Company , many of them devoted to the exploration and study of Indian culture in its various aspects, forming scholarity societies not only in the major cities of India but in their own countries not only in the major cities of India but in their own countries also they researched, wrote, published and promoted, thus contributing as well as changing the scholarly-literary climate of the world tremendously. The temples of India, the gods and goddesses smiling in them, and the devotional activities were great attractions to many Englishmen working in various capacities in the country. Much is not know about Edward Moor but he seems to have travelled widely, including china, about which strange land he makes some interesting comments, but for a major part, on the evidence of this book, he stayed in Poona during the later part of Peshwa supremacy. He studied the current aspects of Hindu religion astonishingly extensively, visiting , meeting, collecting material, including a large number of statues, idols, paintings etc., most of which he later on donated to London and Indian museums. The book he wrote, the present one-an earlier one is also mentioned- is a fairly big one. Of 2 laces words, and published exactly 200 years ago, in 1810, in London. It is very comprehensive, covering most aspects of the subject in careful detail; I find it surprising. The classifications are correct even by today’s measures. And the illustrations are mind bogging: since photography was not easy in those times, he made these done by a royal Society artist. In over hundred pages, over 500 big and miniature drawings are given-may be even more. 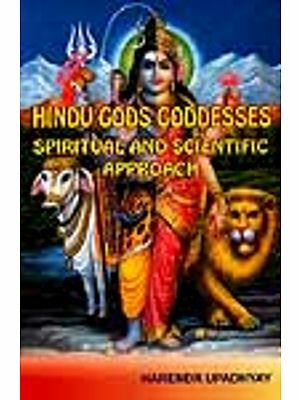 Surmising that Moor may have taken two-plus decades to research, collect, pen down and down and publish, the work presents a picture of Hindu religion in About 250 years old times. Which gives it a special scholarly value. To do it in the modern edition, I’ve condensed it considerably, rearranged the chapters, and drastically cut the number of pictures selecting the representative one only. Still, I believe, it is most useful and gives a complete picture of Hindu religion and its deities. I feel, every Indian should give it a reading; I was myself version. He tells that at least two more Trimurtis, other than the elephant one, were found around Mumbai-the one that appears in the pages of the book is from the letter. The temple at the Malabar Hill’s southern tip is described in interesting detail-of which nothing now remains-where the Peshwa Raghoba acrobated regularly in a specially religious way. The author is, rather unexpectedly. Very appreciative of the place of honour given to cow in Hindu culture, and hoped that after some time the West will also accept it-though it has not happened till date, He analyses in quite some detail the use o cow-dung in India homes, including kitchens, for the purpose of cleaning and cooling, but regrets that the British were changing it thoughtlessly . Similarly his comparisons of our deities, etc., with the Greek and Latin idols, indicating that they were copies of the Hindu ones, are also quite convincing, and in some case, very striking-though in the present edition much of that material has been left our for the sake of saving space. Edward moor seems to have read whatever was available on the subject in English at that time, and regrets that he didn’t know Sanskrit, and himself collected whatever he could lay his hands upon- his home would have been a veritable museum occupying much space. His classifications and conclusions are very pertinent, strikingly exact and correct, unbiased, and at times presenting a fresh angle to an otherwise difficult subject. I am specially pleased that I have the opportunity to preset his work to the new generation after so long a time.